We (Jimmi and I) are back from our trip to England. We are a bit exhausted but glad to be home and sleeping in our own bed. Looking forward to seeing you on Friday. This Friday’s Dance Events 2017-12-15 include our Every Friday Night Dance plus we are celebrating the end of our recent series of dance classes with a Class Party & Potluck. On top of that it’s our 27th Annual Ho-ho-hoedown. This includes a Raffle Drawing for our students to win Dance lessons and Door Prize drawings for Friday Night passes. Please bring a Potluck item to share. Almost everyone participates with really great food and recipes but if you don’t do potlucks there is no requirement that you participate. You can just “come and dance”. 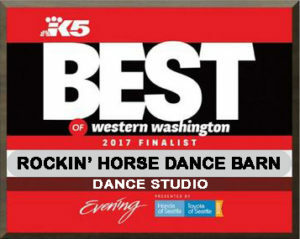 The evening starts at 7pm with a Cowboy Cha-cha lesson. Since this is our Ho-ho-hoedown Dance there will be some people in their Holiday Attire and many will be wearing RED so grab your favorite Red or Holiday Attire and join in the festivities. 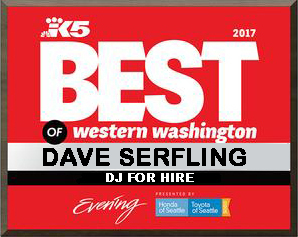 At 8pm as soon as the lesson is over the Dancing starts with yours truly DJ Dave Serfling playing your favorite dance music until 11pm. At around 8:30pm we open the Potluck so please bring your items in early so we can prep for the potluck. At 9pm-ish we will make announcements and draw the winning tickets for the prizes. We have already booked at least 17 cabins for our Dance Cruise 2018 & Jazz Festival. The ship is filling up since there is only four months before we set-sail. Don’t miss this cruise with new itinerary, new ports, the Jazz Festival and New Orleans.